Florida farmers well know the difficulty of restoring operations after a major storm. They are busy reconstructing and repairing their own properties in the wake of Hurricane Irma’s destruction. But they have also taken a moment to help other farm families in need. 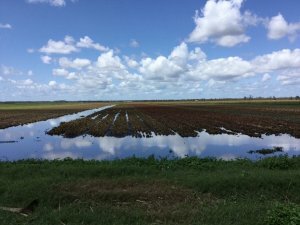 The Florida Farm Bureau State Board of Directors has established a Hurricane Irma Disaster Relief Fund to assist Florida farmers and ranchers who suffered severe losses during the storm. They provided the fund with its initial capital by contributing $5,000. The members have called upon other Floridians to join them in providing emergency assistance. Donations in support of Florida farm families should be made payable to Florida Farm Bureau Women’s Fund, Inc. and mailed to P.O. Box 147030, Gainesville, FL 32614. All contributions are tax-deductible. Please note that the money is for the Hurricane Irma Disaster Relief Fund. In addition, the board voted to support Texans who suffered losses from Hurricane Harvey this summer. At their Sept. 20 meeting the members voted to send $5,000 to the Texas Farm Bureau Hurricane Harvey Relief Fund for Agriculture. “We are pleased to help fellow farmers and ranchers who have temporarily lost their ability to produce food and fiber,” said Florida Farm Bureau President John L. Hoblick. “Many of them will be rebuilding and replanting for months. Their livelihoods are at great risk. We hope that the Florida Farm Bureau Directors’ contributions will help them confront the challenges they are now facing. For more information about the Florida relief fund, visit https://www.floridafarmbureau.org/hurricane-irma-relief-fund/.